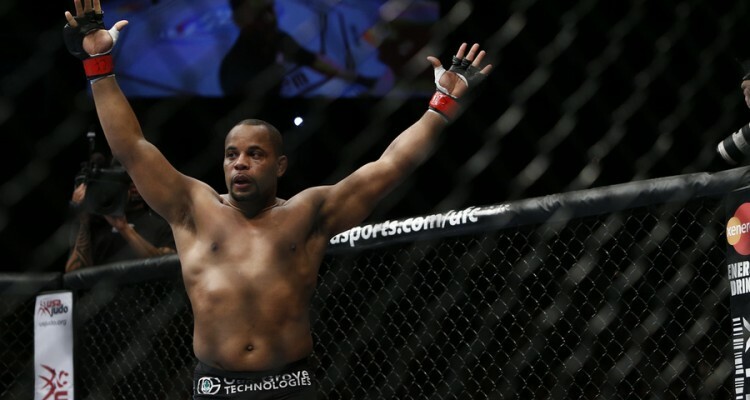 UFC 182: Jones vs. Cormier – Buy It or ‘Bar’ It? 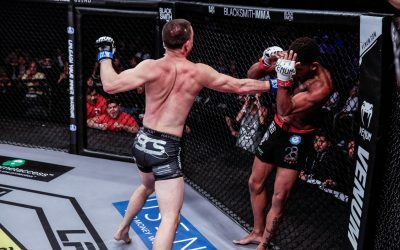 If you count yourself among the large group of MMA fans who determines whether or not to purchase a UFC pay-per-view on a card-by-card basis, Combat Press has you covered. Before each of the UFC’s pay-per-view events, we’ll review the main-card fights and surrounding circumstances before determining whether you should buy it yourself or save your money for beer and pizza and check it out at your local sports bar. This week, we’ll review UFC 182, which takes place Jan. 3 in Las Vegas. Each new year brings with it the potential for improvement. 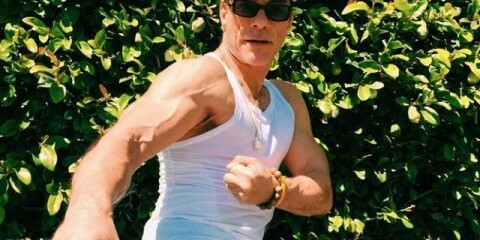 This is the time when people put down the donuts, pack the gyms and promise themselves that this year is going to be awesome. For the UFC, the change that is most needed is a renewed focus on pay-per-view events after the disappointment that was 2014. 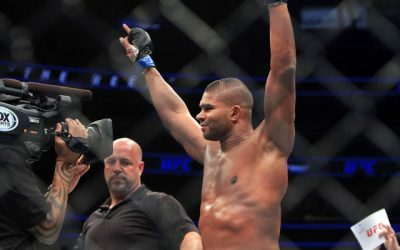 The song has been sung many times, but bears repeating nonetheless: the UFC experienced a significant drop in pay-per-view buys not only due to the proliferation of free events but also because cards like UFC 174 and UFC 177 were, in the minds of most fans, not worth the $55 price tag. The UFC seems to have recognized this and has put together a pay-per-view schedule that is, thus far, very attractive, and will kick off the new year with the most anticipated fight in quite some time. To say that MMA fans are looking forward to the UFC 182 main event title contest between light heavyweight champion Jon Jones and undefeated challenger Daniel Cormier would be a significant understatement. Fans have been counting down the days since this fight was first announced, and that counting likely gained significant fervor when the fight was moved from its originally scheduled spot atop UFC 178 to Saturday’s New Year’s card. Jones has basically gone unchallenged since ascending to the peak of the light heavyweight mountain and seems to be getting better with each fight. No fighter is unbeatable, but Jones has certainly made a convincing case. 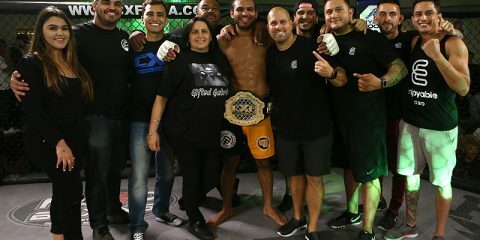 Cormier, meanwhile, carved out a spot near the top of the heavyweight division before dropping to 205 pounds to avoid any title-picture awkwardness with heavyweight champ and American Kickboxing Academy teammate Cain Velasquez. His two dominating wins over Patrick Cummins and Dan Henderson left everyone agreeing that Cormier was worthy of a fight with Jones. 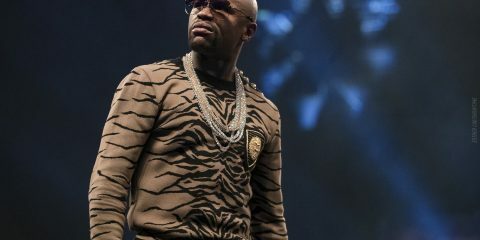 In the time since, the two have very publicly expressed significant mutual discontent, with the highlight (or lowlight) being their infamous media conference brawl in August. Anticipation for this one could only be higher if Saturday’s main event loser also had to quit fighting. Lest Jones and Cormier should get 100 percent of the attention in the lead-up to UFC 182, the promotion has also booked a very exciting co-main event between top-10 lightweights Donald Cerrone and Myles Jury. Cerrone has long been reputed as one of the UFC’s most thrilling fighters to watch, and he’s blitzed his way through his last five opponents to earn the No. 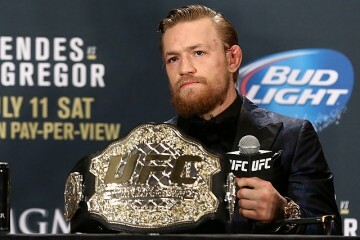 4 ranking on the UFC’s lightweight list. 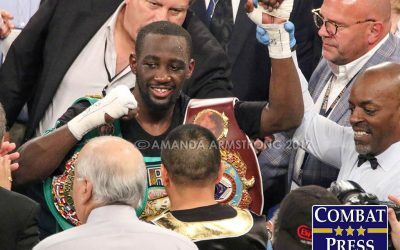 On Saturday, he’ll not only look to extend his winning streak to six, but hand the 15-0 Jury his first professional loss. For Jury (No. 8), this fight with Cerrone represents his first challenge against a truly elite lightweight. 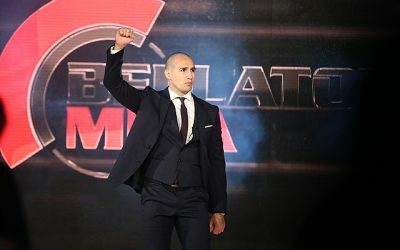 If he’s able to get past the well-rounded “Cowboy,” he’ll immediately vault into title contention alongside the likes of Khabib Nurmagomedov and Rafael dos Anjos. The same can definitely be said for a victorious Cerrone, who would almost certainly get a No. 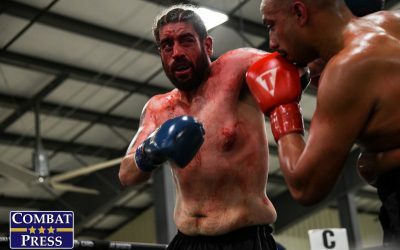 1 contender’s fight (at the least) for his next bout. Lots on the line for both of these guys, and each has the reputation for putting on a good show. 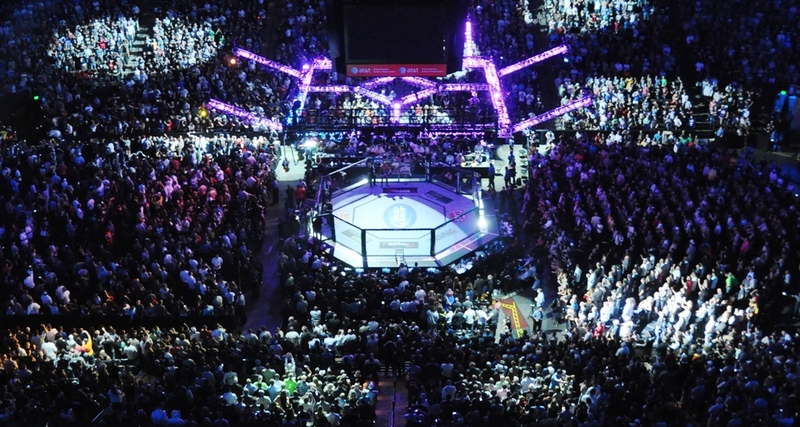 Before the night’s featured bouts, the UFC has also scheduled three solid undercard fights. Middleweights Brad Tavares (No. 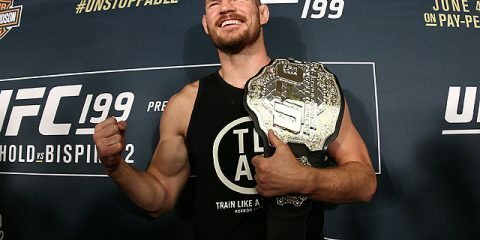 15) and former title challenger Nate Marquardt will meet to determine which of them will hang on to the bottom rung of the UFC’s middleweight rankings. Tavares is only 27 and has shown a lot of promise, but dropping his last two fights has done his career no favors. 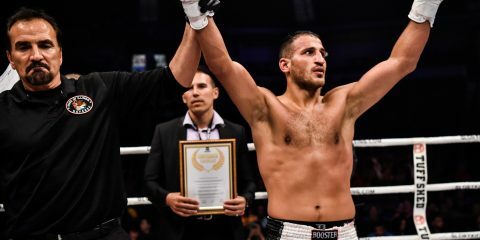 He’ll look to rebound against Marquardt, a man who faltered as a welterweight in his return to the UFC, but defeated James Te Huna in June after jumping back to 185 pounds. 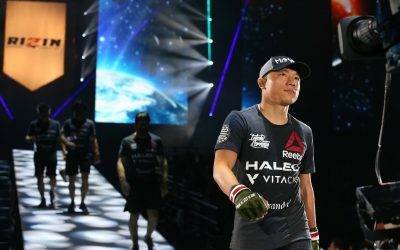 Eleventh-ranked flyweight Kyoji Horiguchi gets a showcase against Louis Gaudinot in the second pay-per-view contest, and with a win (combined with a lack of other title contenders at 125 pounds) would likely find himself in the title conversation. 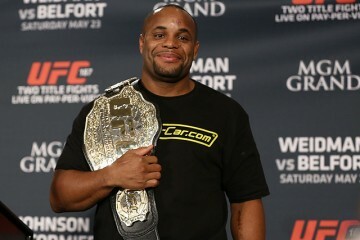 Finally, welterweight contender Hector Lombard (No. 6) opens the pay-per-view card by welcoming Josh Burkman back to the Octagon. 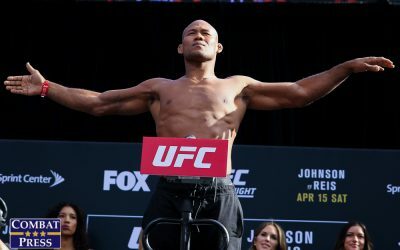 Lombard currently sits just outside the title picture in the welterweight division and a win over Burkman keeps him in the mix. Burkman, meanwhile, will try to build upon his 6-1 record since 2012 with an upset over a UFC contender. While none of the three undercard fights would sell this event themselves, their marriage with Jones vs. Cormier makes them each reasonably intriguing contests. Let’s be honest, though: the UFC could have put just about any fights underneath the light heavyweight clash at the top of UFC 182 and the card would still have been worth the money being charged. Hell, the pay-per-view could just be Jones vs. Cormier and it would still be worth about $30. Very rarely does a single fight draw intrigue of the magnitude of Jones vs. Cormier, so while it’s often tough to determine whether to purchase a UFC pay-per-view card, this time it’s a no-brainer.